Our Licence, and what you should be aware of. Clay Hall Kennels – an overview. Olive, a parti-coloured Cockapoo girl. 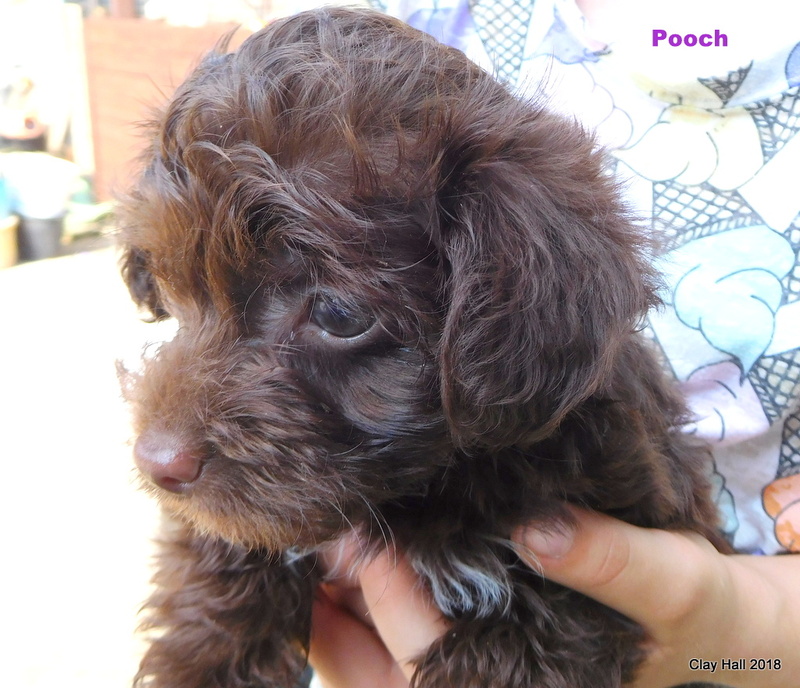 Yorkiepoo puppies, ready 24th of April. Cockapoo puppies, ready early in May. Mini Dachshund puppies, ready early in May. Cavapoo puppies, ready early May. Bagle puppies – ready mid-May. Bocker puppies, ready in May. Westiepoo puppies, ready in May. Clay Hall Barn; Algar Road; Bressingham; Diss; Norfolk. Our hours are pretty much always - we live here, after all. It's not like we can go out anymore. There is a "Contact Us" form on this site.